Arthur Haynes (19 May 1914 ? 19 November 1966) was an English comedian and star of The Arthur Haynes Show, a comedy sketch series produced by ATV from 1956 until his death from a heart attack in 1966. 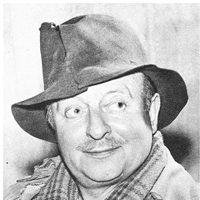 Arthur Haynes also appeared on radio and in films.